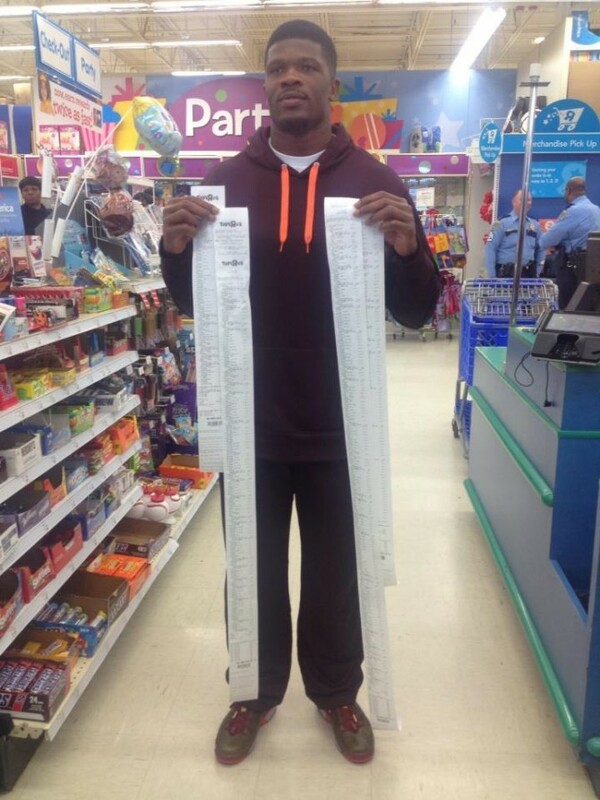 In a year of seemingly never-ending NFL player scandals, thank God for Andre Johnson. I mean seriously, when was the last time an NFL player's actions off the field made the news for something positive? Right when the Aaron Hernandez story was finally starting to fade, Ray Rice punches his way into the spotlight. Then Ray McDonalad. Then Adrian Peterson. To date, more than 40 NFL players have been suspended for at least one game of the 2014 season. That doesn't include players who have been fined. I'm talking about suspensions. That's what makes the story you are about to hear so amazing. 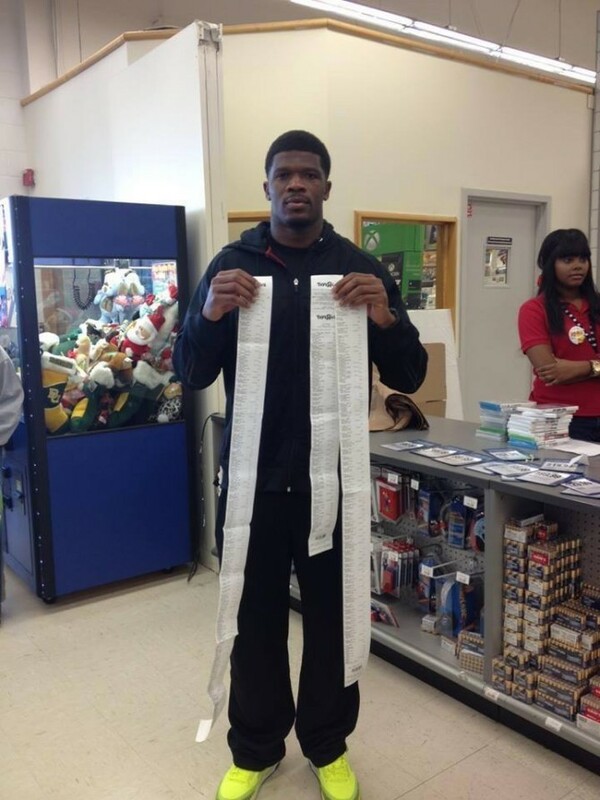 Last night Houston Texans wide receiver Andre Johnson performed an absolutely amazing Christmas miracle. And to make it even more amazing, it's the eighth year in a row he's performed this miracle! For the eighth year in a row, Johnson invited a group of at-risk children and their siblings from Houston area child protective services to take a trip with him to their local Toys "R" Us. While at the store, Johnson gave the kids 80 seconds (in reference to his jersey number) to fill up a shopping cart with any toys that they could grab. The kids were teamed up with a Texans cheerleader who helped them navigate the store and pick out all the best goodies. Each kid was also guaranteed an entertainment system of their choice plus two games. At the end of the 80 seconds, the total shopping spree tab came to $16,266.26. Initially when Andre tried to pay, his credit card company flagged the purchase as fraud. Andre actually had to call in to verify that he was indeed purchasing $16,000 worth of toys at Toys 'R' Us. You'd think after doing this eight years in a row, his credit card company would be prepared by now! Yesterday, Houston Texans wide receiver Andre Johnson performed an absolutely amazing Christmas miracle for a group of local at-risk kids. What? No I'm not crying. I was just chopping onions. Jeez. After being grossly underpaid for his career, Andrew Luck is finally in line for a big payday. And he's got something that'll help him get even more money than most of his colleagues. There has not always been money to be made in the NFL. At one time, guys actually had to have off-season jobs. That is certainly not the case anymore.